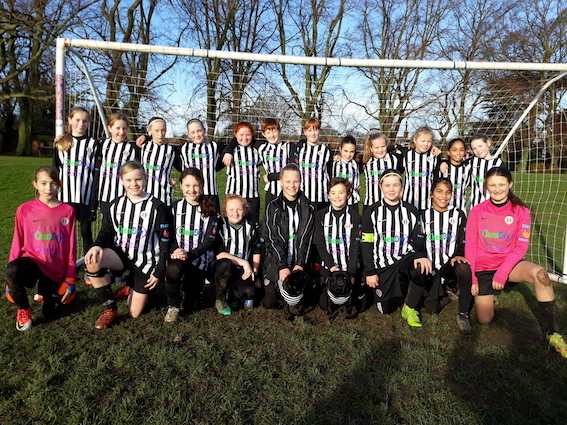 Southwell City FC Under 12 Girls have a new shirt sponsor for season 2018-19 thanks to the generosity of one of the player's parents, Richard Harris of Chem Dry Central. The age group now has two teams, named the Cavaliers and the Roundheads to reflect the history of the civil war in Southwell. The team are also financially supported by a parent of one of the Roundheads team, Julian Benton of The Earl of Chesterfield Public House on Manor Lane, Shelford. His daughter Olivia 'Grape' Benton is one of the joint captains of the team and Julian has generously hosted events at his pub in order to raise funds for the teams to help buy team equipment.